Moth Control Westering » Tel: 0828105617 » Port Elizabeth The Port Elizabeth Pest Control Experts! Moths in Westering are most common for destroying stored foods and natural fibers such as flour or grains. These insects can cause extensive damage in mills or warehouses costing thousands of rands in lost revenue. At Westering Pest Control we are the experts at dealing with stored products pests and have specialized equipment for guaranteed results. Whether its residential, commercial or industrial pest Control, Westering Pest Control should be your first port of call for all Your Westering Pest Control needs. 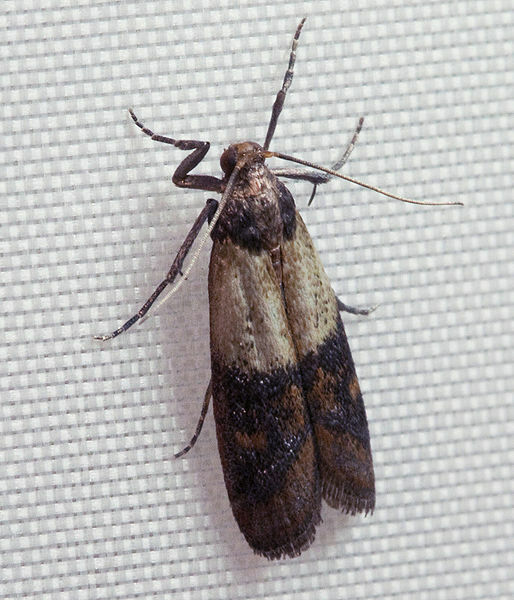 The common clothes moth found in Westering is (Tineola bisselliella), these adult moths are about 6mm - 8mm long with the larval stage reaching up to 1cm. Adult clothes moths do not feed and all the damage is caused in the larval stage. The Indian Meal Moths (Plodia interpunctella) are very common and a huge problem in mills and solos around Westering, the adults range between 8mm - 10mm and have a wingspan of up to 20mm. These are a very serious health thread and can get out of control easily. If you have any following in your home, business or industry give Westering Pest Control a call for your moth control treatment, our Westering service technicians are on standby to take your calls 24 hours a day.